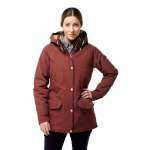 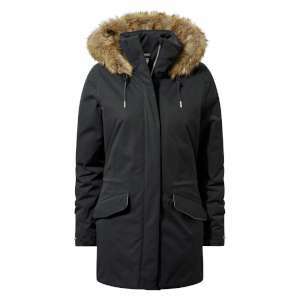 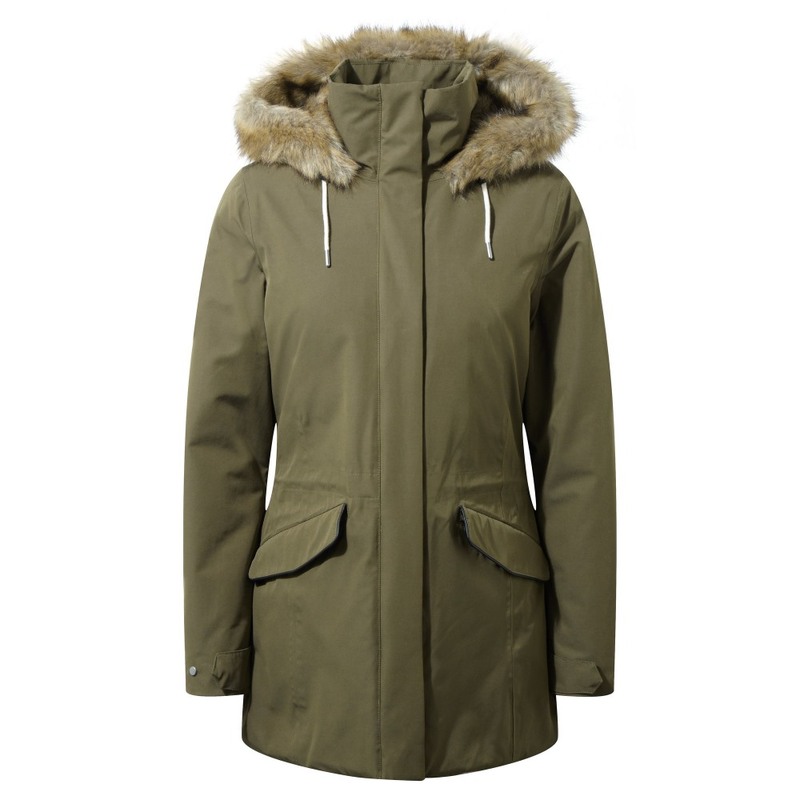 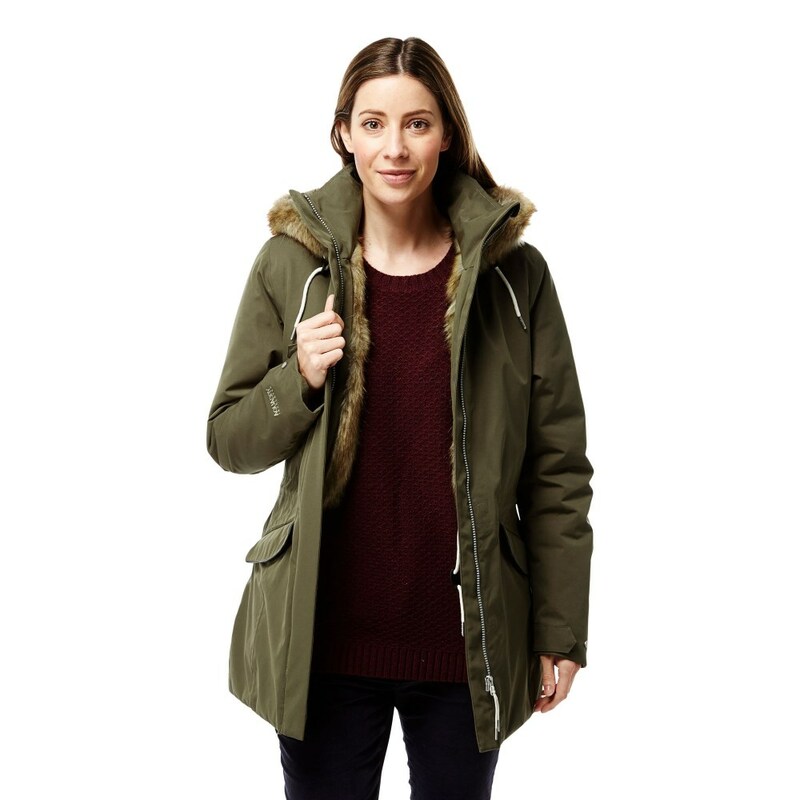 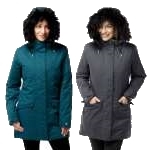 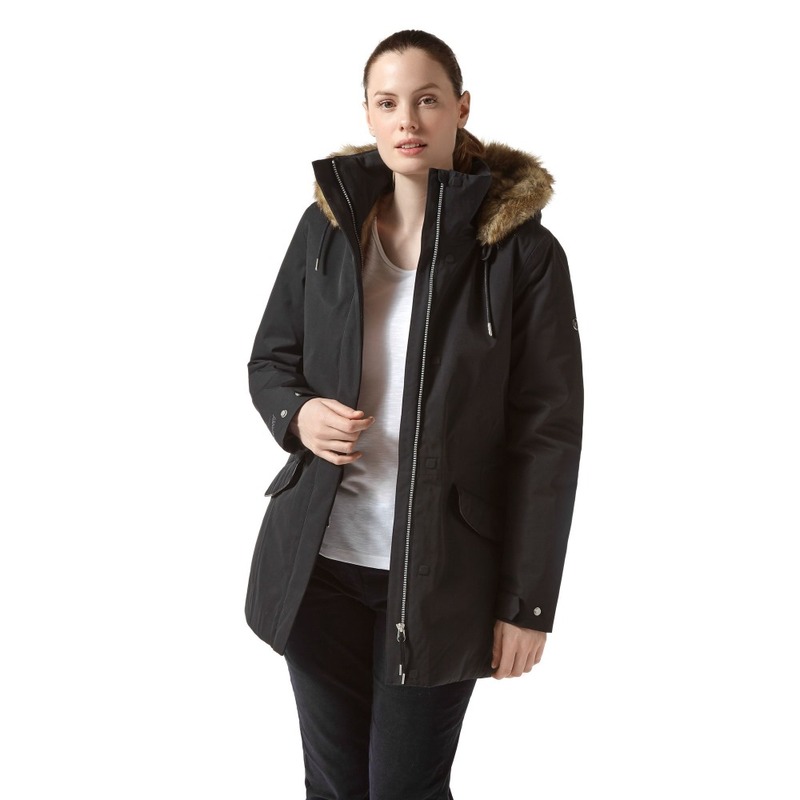 Treat yourself to a luxurious winter jacket with Craghoppers Womens Josefine Jacket.. 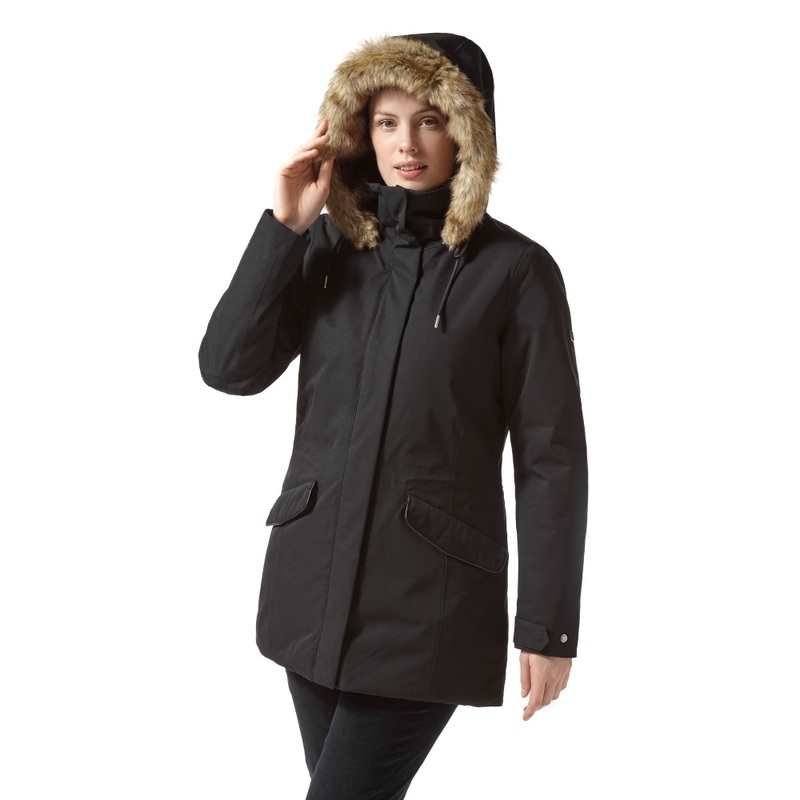 This gorgeous, insulated waterproof tackles winter challenges head-on, protecting from rain, snow and sleet without turning a hair. 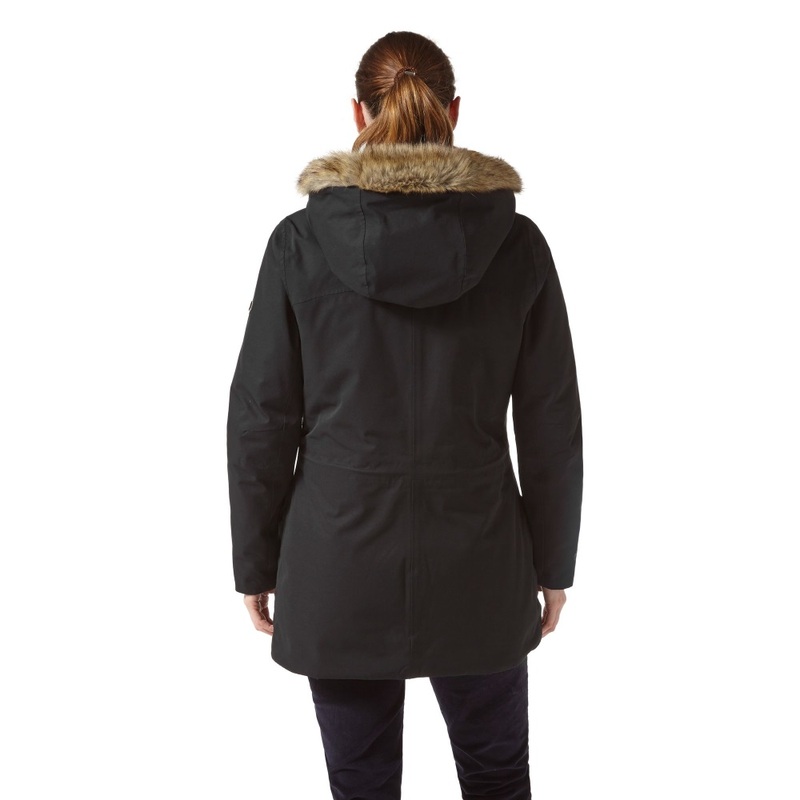 The faux-fur-trimmed, grown-on hood and faux fur lining creates a cocoon of warmth and comfort to cheer up the greyest day.